Hundreds gathered for the Rio Bank “Topping Out” lunch on Jan. 17 to celebrate the final beam addition to the new corporate headquarters in McAllen. 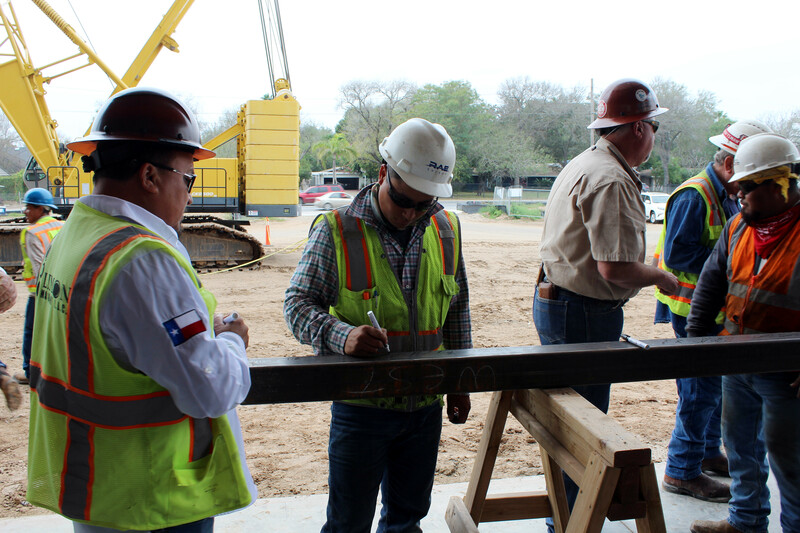 Signing the beam were contractor workers and Rio Bank directors and employees, as well as other business leaders. The beam then made its way to its destination atop the sixth floor of the building on the north side of the Interstate near McColl. With roughly one more year of construction before completion, this ceremony is a very pivotal point in Rio Bank’s largest construction process in its 34-year history. 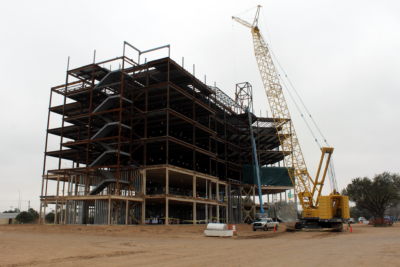 By spring 2020, the 125,000-plus-square-foot office building will serve as the bank’s corporate headquarters with convenient access to the interstate. For more photos from this event, visit the Valley Business Report photo gallery.